OK, so we’ll agree I’m not the world’s most frequent crochet blogger (although you can read me over at Baking and Making). I’ve put together a list of some of my top crochet reads. I’m sure you have your own favourites to add. 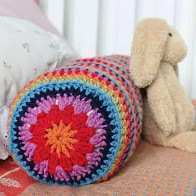 Check them out and enjoy some crochet inspiration. Emma Potter’s Potter and Bloom blog and podcast. 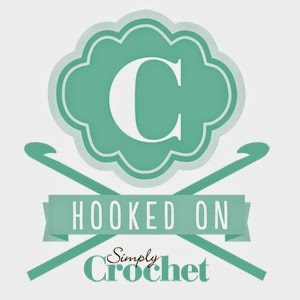 Funny, helpful and full of crochet tips with a bit of knitting thrown in for good measure. Stephanie Lau. Many of you will be familiar with the name. I chose Stephanie to design the Amigurumi project for Crochet. Learn It, Love It (Published in the UK as the Woman’s Weekly Guide to Crochet). She also designs accessories, reviews yarns and share snapshots of her creative life. Well worth finding her on Instagram too. Leonie Morgan. Another contributor to my last book, Leonie has also written several books and releases single crochet patterns in gorgeous colours. 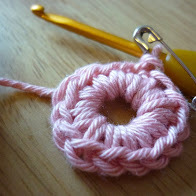 If you haven’t already signed up for the Crochet Project newsletter, go do it now! The website is full of tips and useful blog posts. You can also buy Joanne and Kat’s patterns and books directly from the site. If I had a pound for every pupil who has produced one of their patterns with the words “Can you help me make this…” I would be keeping Mr T in bike spares for years to come! Thoroughly nice and very talented ladies, I love their uncomplicated but stylish designs. Sandra Paul’s Cherry Heart blog and podcast should also be on your “watch list”. A creative all rounder, Sandra produces designs in bright modern colours. Her podcast is a favourite among lots of my crochet pupils. Finally, not a specific knitting or crochet blog, but two online yarn shopkeepers that I regularly visit. Tangled Yarn and Brityarn. Both run by women with a passion for yarn and crafting. You’ll find pattern inspiration, news about new yarns and special offers. Hope that list of recommendations keeps you busy until I’m back with more new patterns, workshop updates for the autumn and a special item for Yarndale.